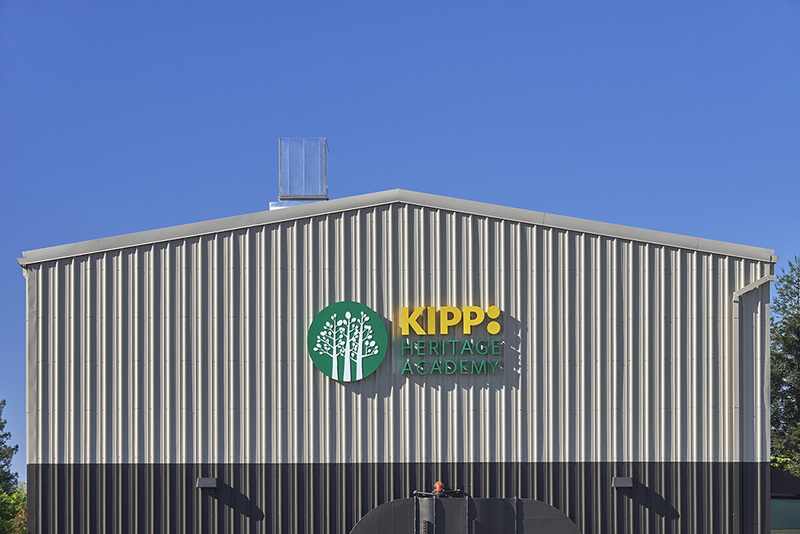 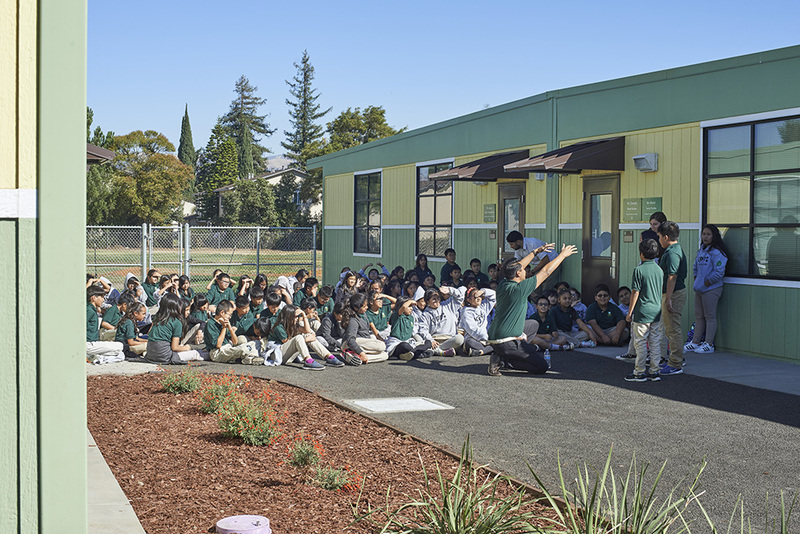 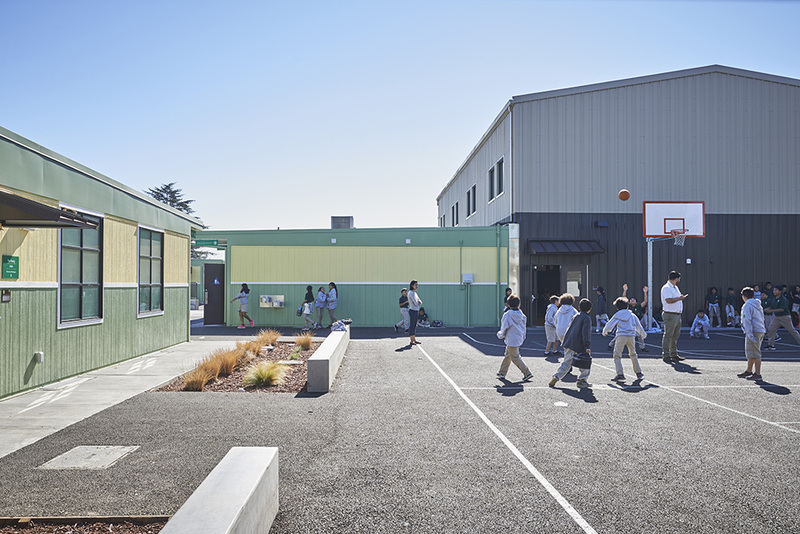 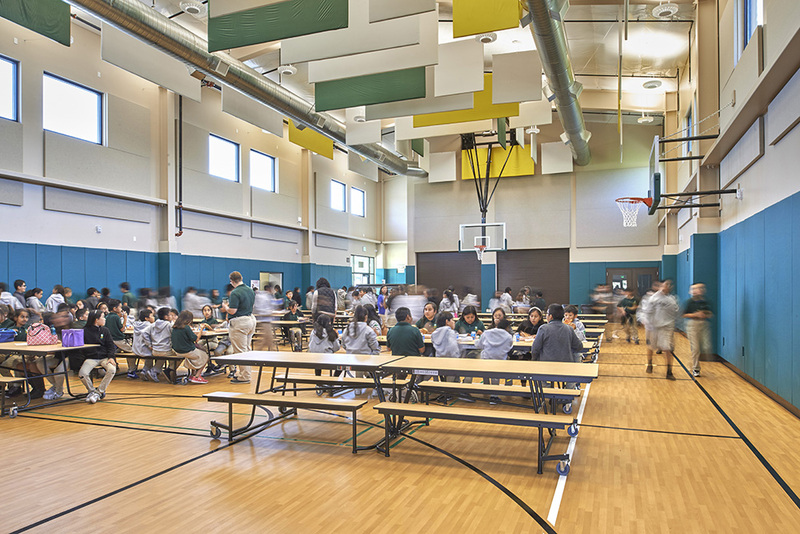 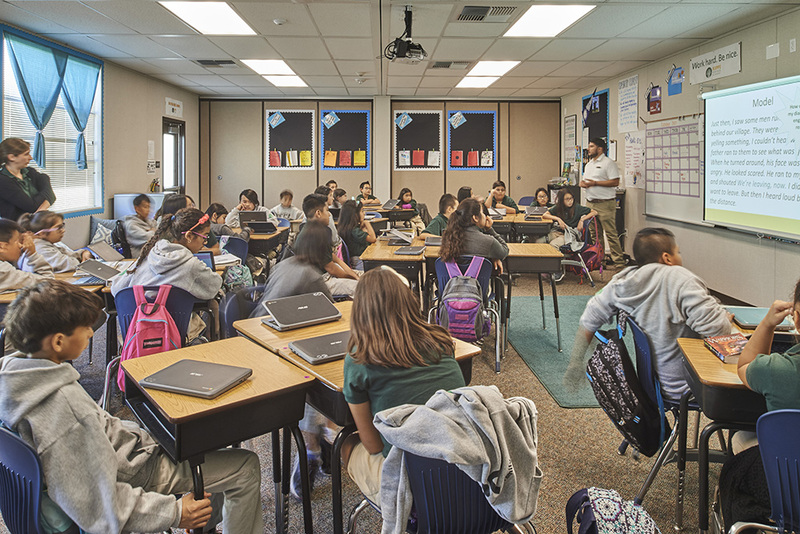 KIPP Heritage Academy is a new charter school campus at Los Arboles Elementary School in San Jose, CA. This 67,000 sq. ft. campus will house 425 students ranging from fifth to eighth grade. 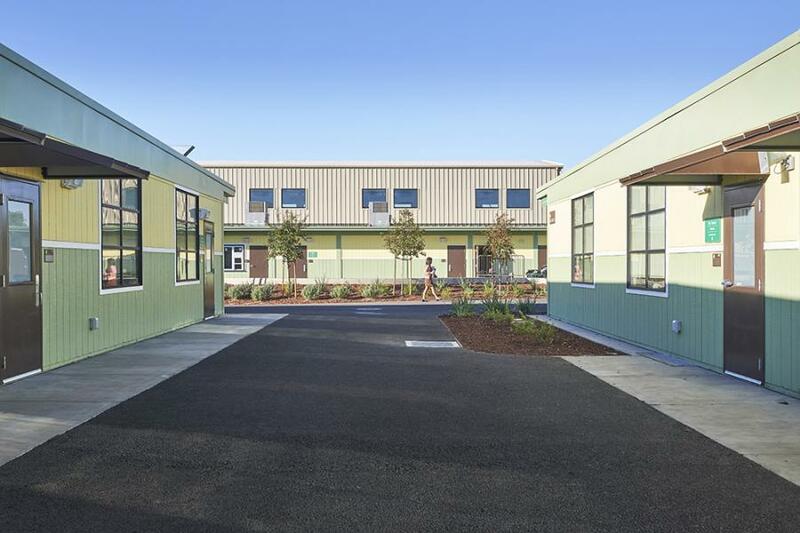 The new campus design was approved through the Division of the State Architect and involved extensive analysis for compliance with the California Green Building Code and The California Environmental Quality Act (CEQA). The campus is arranged as a series of courtyards to allow the instructional space to take advantage of the pleasant climate in San Jose. 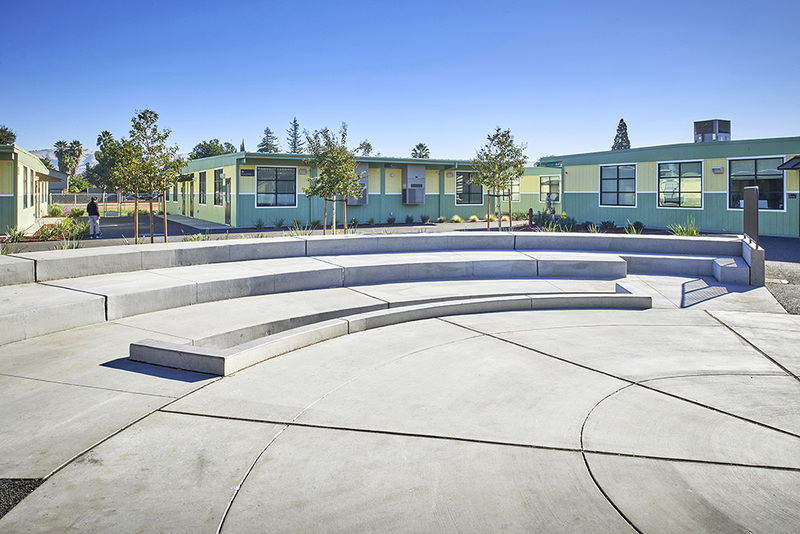 The central open space will serve as the primary gathering area for the campus and contains a stage and amphitheater. 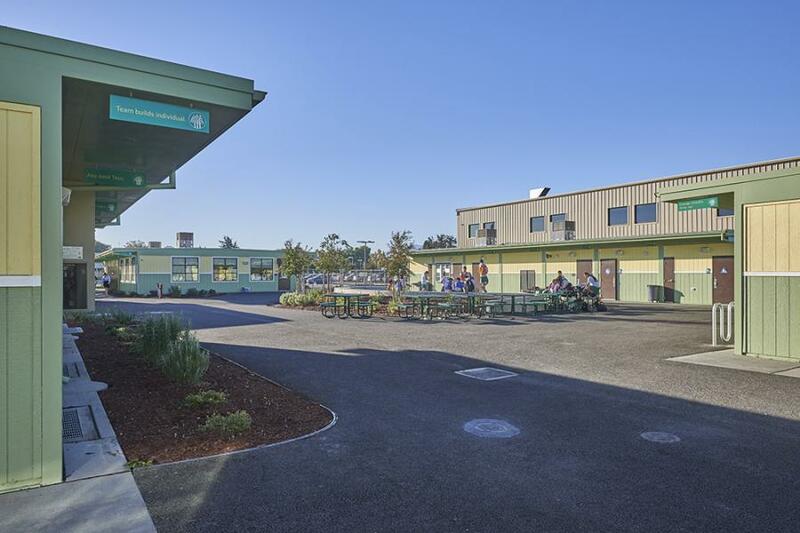 The campus includes five 3,864 sq.ft. classroom buildings, each formed by a cluster of four classrooms and arranged around a series of grade-level courtyards. A 3,360 sq.ft. 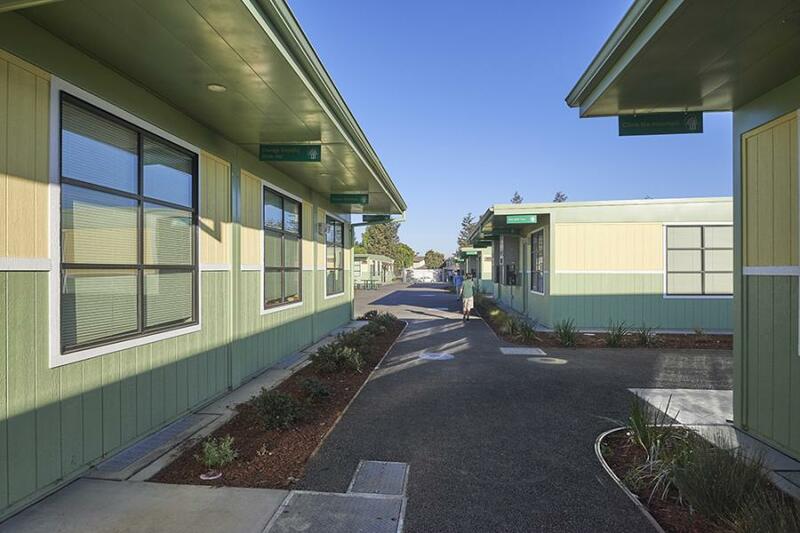 administration building is located at the main entry and drop-off, and a 7,397 sq.ft. 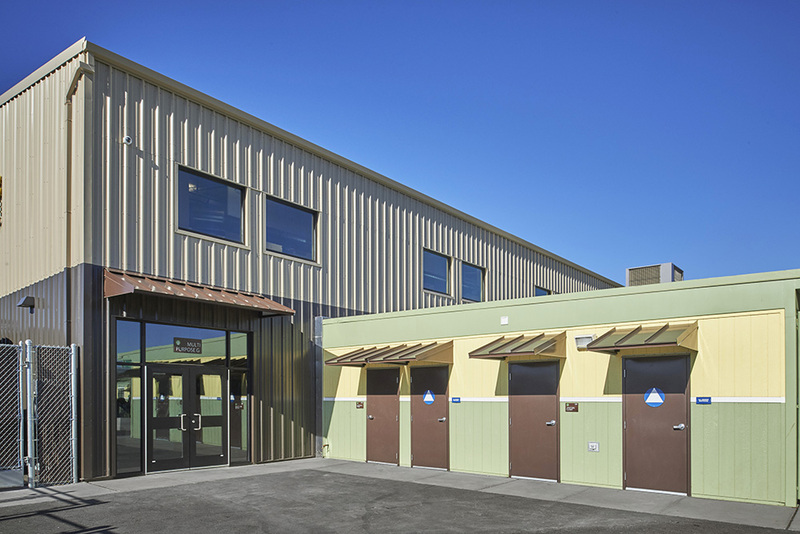 multi-purpose building and outdoor play area is located on the west edge of the site. 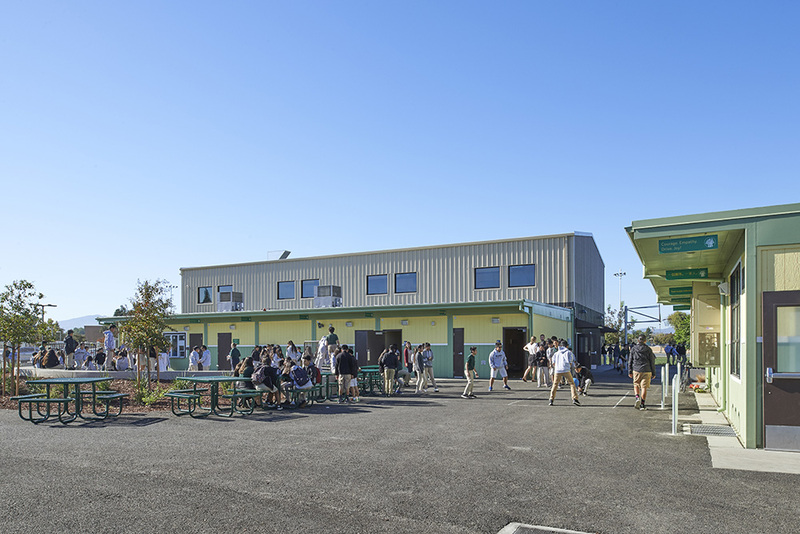 The multi-purpose building includes a 4,647 sq.ft. 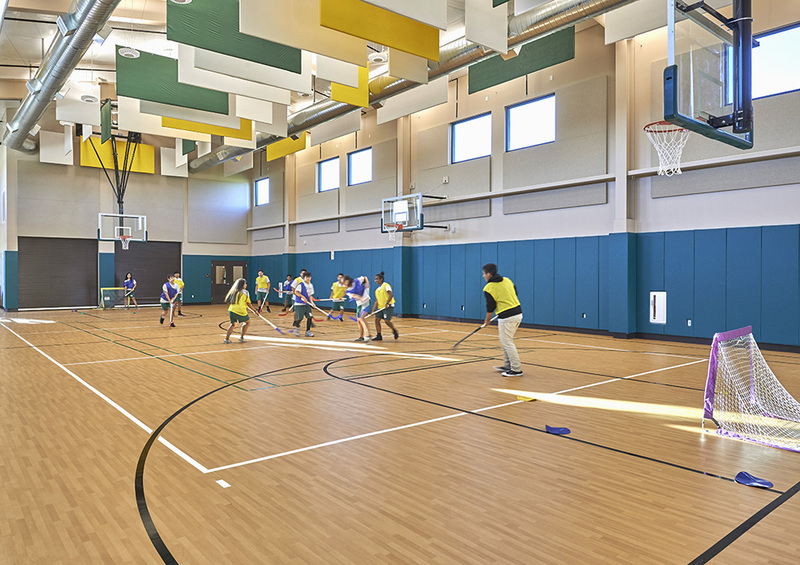 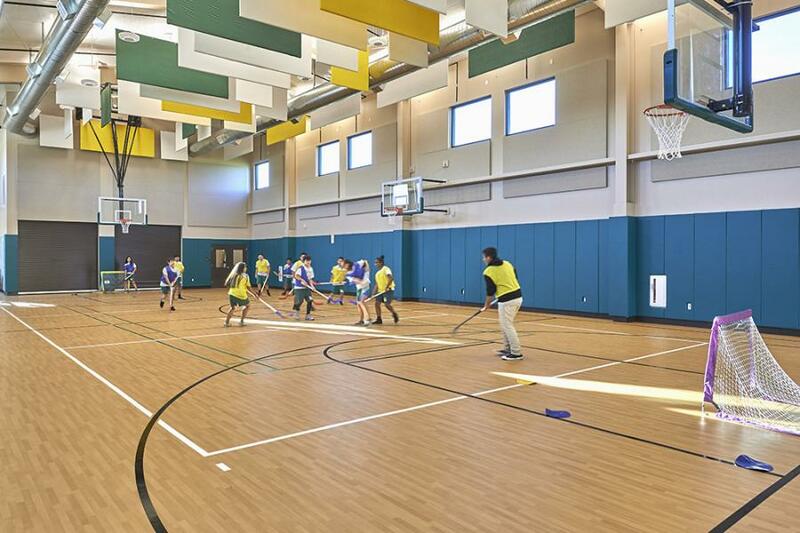 gym, which can also be used for school and community events, as well as a music room and servery. 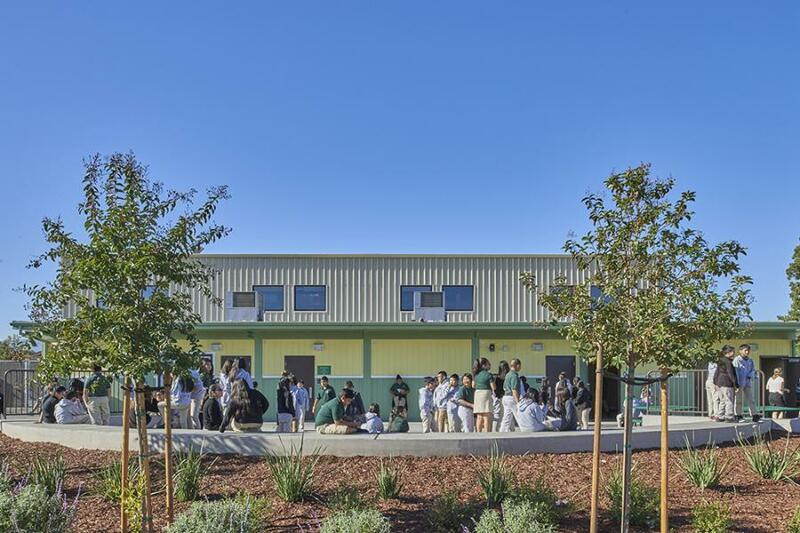 Landscaping at the campus takes into account water conservation through bio-swales, pervious paving and use of native California plants. 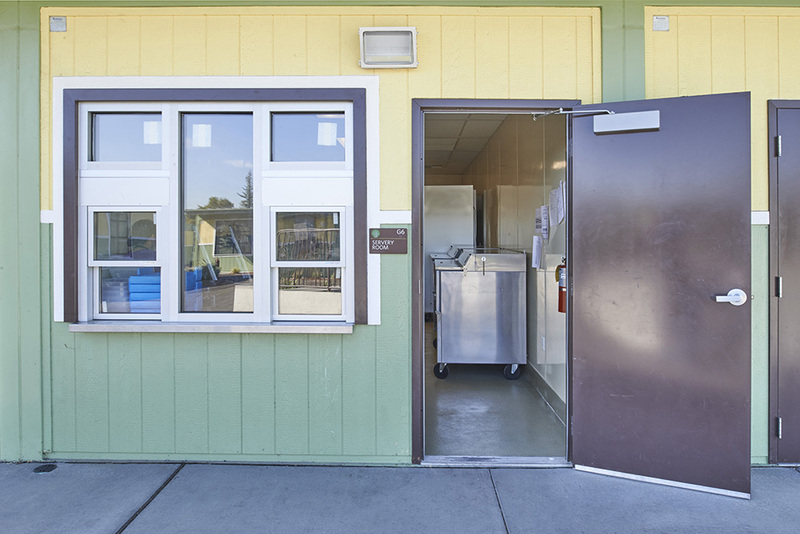 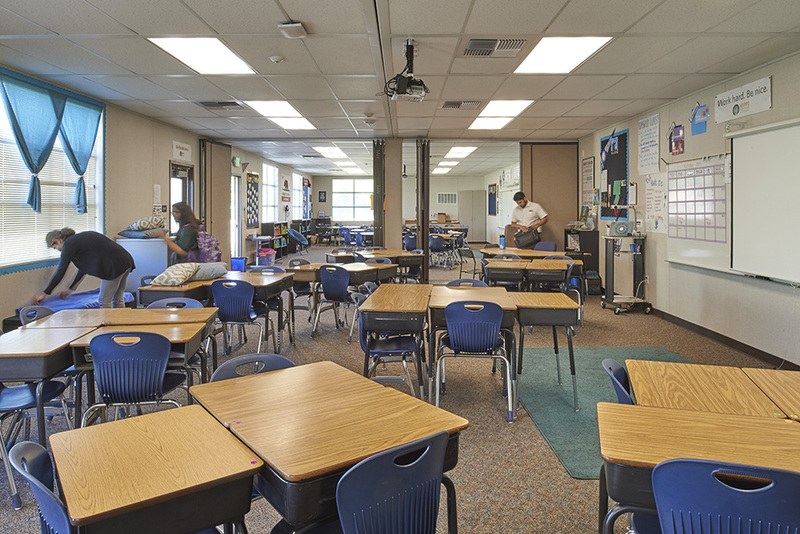 To create a cost-effective approach, the classrooms and administration are designed as modular buildings, while the multi-purpose building is a combination of modular plus site-built construction. The new campus is designed to achieve a wholesome environment with an aim towards the holistic development of the students.